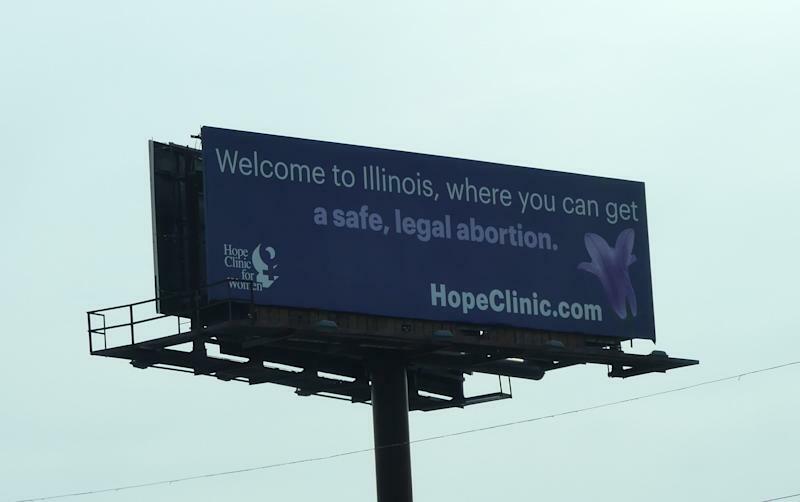 The Hope Clinic for Women in Granite City, Il., changed the message on their Interstate 55 billboard in late March to put up a fight against the stricter reproductive health regulations of its neighboring state of Missouri, and to offer its residents reassurance that abortions remain available. After being up for just a few weeks, the message is already being received loud and clear. According to outreach and communications manager, Alison Dreith, the clinic got the idea for the billboard from Progress Now Colorado, which previously put up a similar billboard across from the Utah border. Now, as Missouri faces a legislative session next month where restrictions will likely become harsher, while Illinois faces the opposite likelihood to enact the Reproductive Health Act, the Hope Clinic figured it was the perfect time to make their voice heard and their services known. The conversation that the billboard has started, especially through social media, is unlike anything that the clinic has ever seen. And although Dreith says it will be some time until they can gauge exactly how many clients the billboard has brought in, she assures that reducing the stigma around abortion is the most vital result. “People are reaching out to say that they’ve seen the billboard and they honked at it as they drove by because they were so excited to see such positive messaging that goes to reducing abortion stigma,” she explains, while noting that they have yet to receive negative responses. Now, the clinic plans to continue coming up with more creative messaging that will catch the attention of more people in need.